For those of you that have watched this show (Drunk History), you either love it or hate. I love learning about history, specially when the narrators are drunk. It makes it very interesting and funny. Anyway, this blog post is not about the show, but about the history of storage breakthroughs that changed the way we do storage. Anyway, there has been many technology advances that not only affected the storage realm, but also other software define solutions such as hypervisors. The birth of snapshots, array replication, cloning, etc are just some of the many advances that we now take for granted. 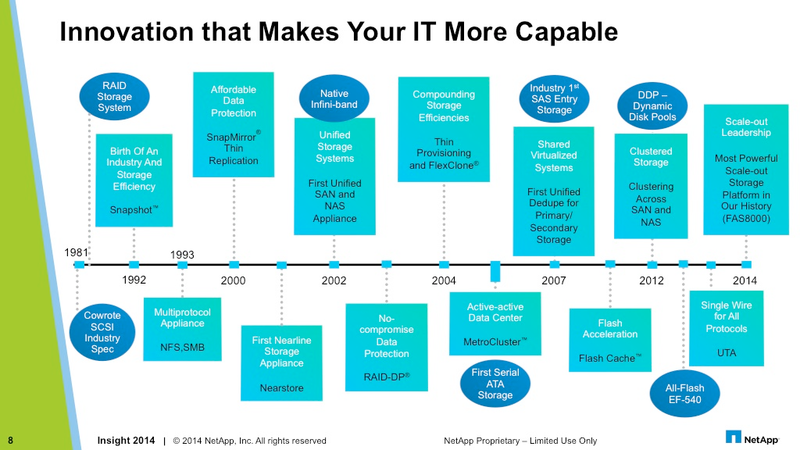 Here is a good representation of the advances provided by NetApp for the last 30+ years. When you are shopping for hardware, consider the slide above and ask yourself, what company has the most experience and are the pioneers in the field. 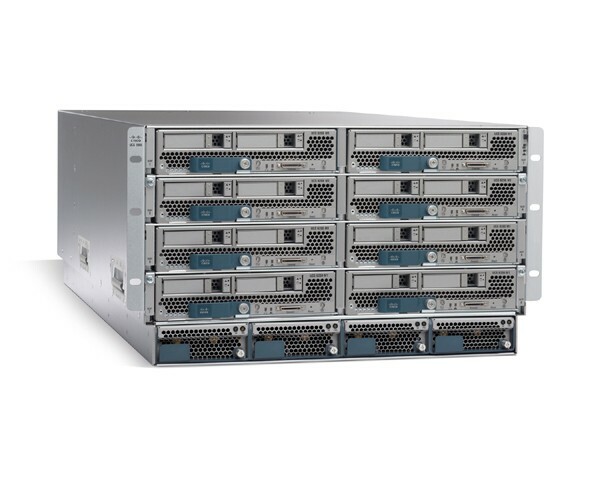 As you may or may have not heard the announcement earlier this week, NetApp has released an All Flash FAS (AFF) storage array. Many announcements, blogs and articles have been written about AFF, but I wanted to highlight the main aspects without having to read pages and pages (you can thank my ADHD for that). 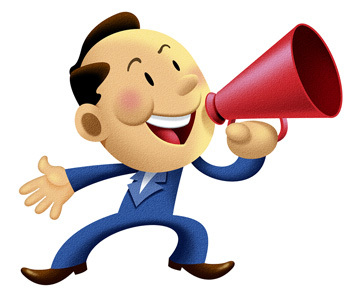 Let me start ranting for a bit about those who have been spreading FUD about NetApp and how the company is “doomed”. I do not work for NetApp, but I use and truly believe that it is one of the best if not THE best storage solution in the market. Those who are writing negatively about NetApp still refer to it as a single purpose NAS, when it truly encompasses a diverse portfolio, and AFF is a perfect example. What is the big deal about NetApp AFF? The recent announcement highlights the marriage between FAS systems (ONTAP) and Flash. Yes, NetApp already has all flash systems such as the EF560, but such systems are not running on ONTAP. ONTAP + Flash, results in the only storage solution that is truly unified and is capable of utilizing different protocols within the same software AND hardware, in addition to the incorporation of Flash. Yes, no need to buy separate hardware for NAS vs SAN protocols. When you add these two components together, AFF is the result of not only an all flash storage, but also incorporates all the features of ONTAP such as de-duplication, compression, built-in data protection. scale-out performance, multi-tenancy, Non disruptive upgrades, etc, etc, etc. In short, AFF promises to deliver Enterprise ready performance at low cost and low latency by leveraging Flash, and ONTAP 8.3.1 (later discussion).